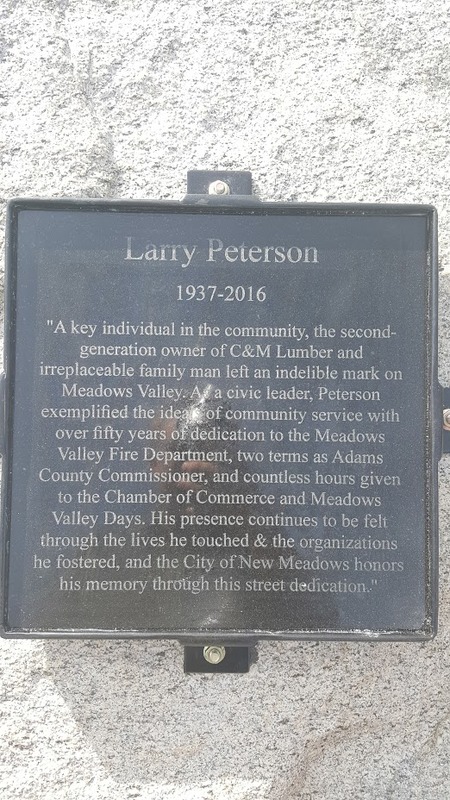 Below is a speech Mayor Tony Koberstein read at the ribbon cutting for the re-naming of a recently paved street in New Meadows for the dedication of Larry Peterson. As you all are aware, our community suffered a tremendous loss when Larry Peterson passed away. 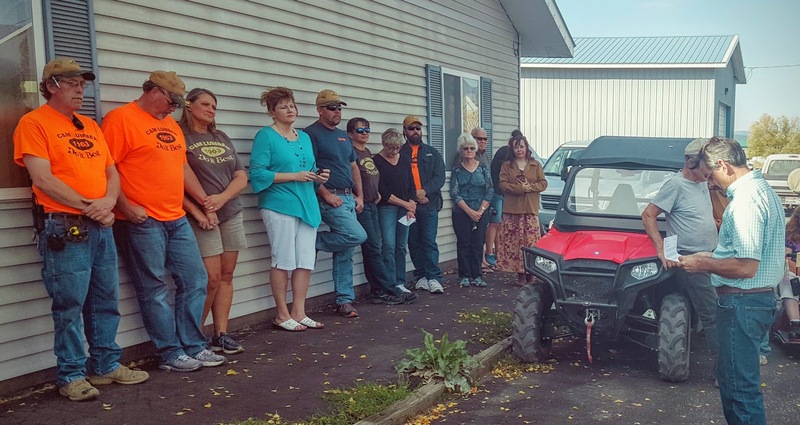 His dedication to our community was apparent in every aspect of his life. He volunteered and served this community in so many ways that are difficult to numerate. As he drew up construction and design plans for nearly every new building in the community, you could see a twinkle in his eye as he imagined the possibilities of a better community. The New Meadows Senior Center has a bus garage, due in part to Larry’s assistance. He was often seen in recent years coming to the center to visit his friends, share a meal or two and most definitely his homemade cookies. Larry contributed personal and business resources to build and maintain the ‘old’ recycle center on the former North Commercial Avenue site adjacent to the old C&M building. Once the ‘old’ recycle center became obsolete, he assisted in the development and construction of the new recycle center, just a few short blocks down the street. This program is going strong because of, in part, his vision and dedication. Serving on the New Meadows Methodist Church board, he volunteered countless hours to the New Meadows food bank to help feed our community. Nearly forty years ago, he built small wooden toys for kids so they would have something under the Christmas tree. Most recently Larry donated his time to various community groups; decorating the New Meadows Christmas Tree, decorating the community for nearly every holiday; serving on service clubs; chambers; and other groups that supported our local organizations and volunteers. He served on the Adams County Board of Commissioners, the New Meadows Planning & Zoning Commission, and the Meadows Valley Fire District Commission. Through his contributions to just these entities we now have comprehensive plans, orderly growth patterns, and new fire apparatus and even a new EMS district to serve those suffering from illnesses and injuries. 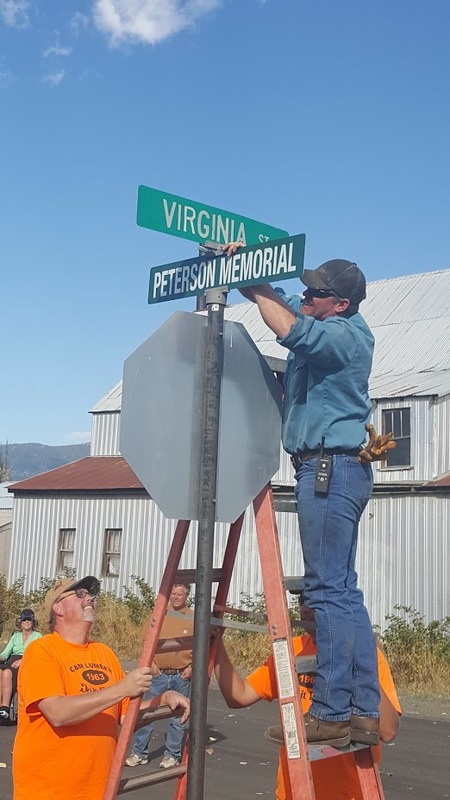 Each of the Peterson family continues to volunteer in some capacity following the footsteps of their Patriarch: serving on school and library boards, serving on Meadows Valley Days Committees, donating time, efforts and resources to worthy community causes. 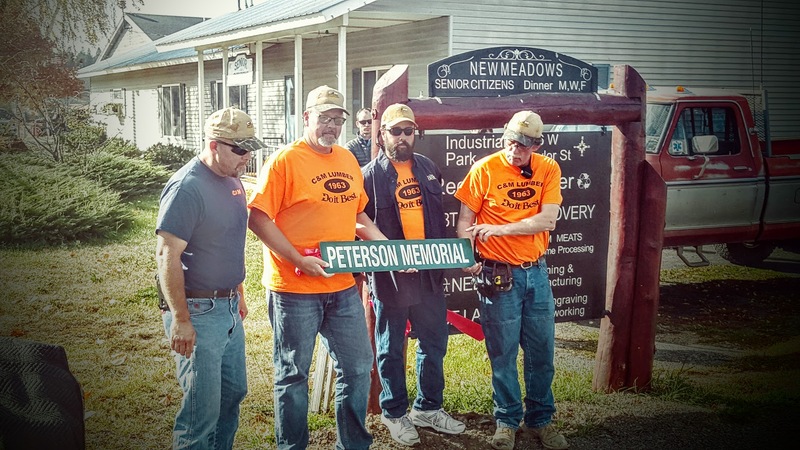 The City of New Meadows wants to recognize the tireless efforts of not only Larry Peterson, but also the entire Peterson family for all of their contributions to better the Meadows Valley Community. 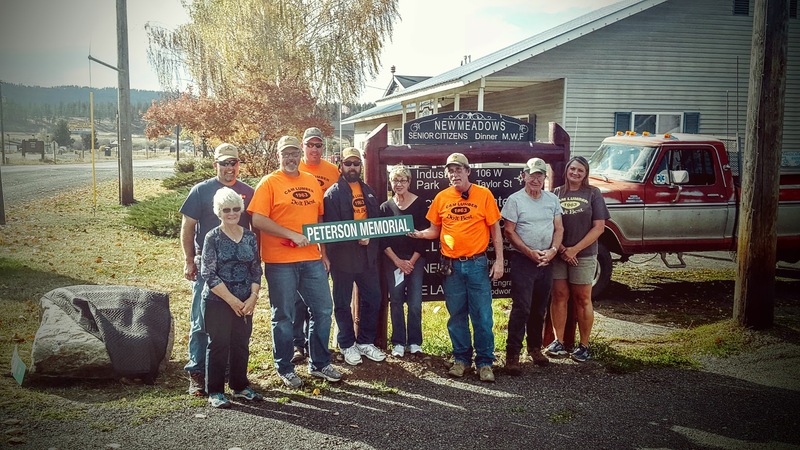 This day is about the Peterson family and recognizing all of their efforts, however, we want to encourage all citizens to follow their lead and volunteer for a worthwhile local cause, not for the recognition, but to better our community. 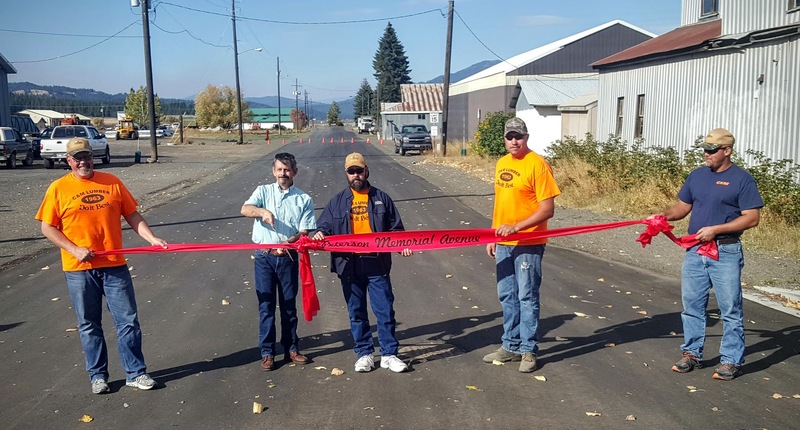 This street was paved utilizing combined efforts of state, county, city and local resources. 99% of the products used to build this road came locally from Adams and Valley county companies – just the way Larry would have wanted it. 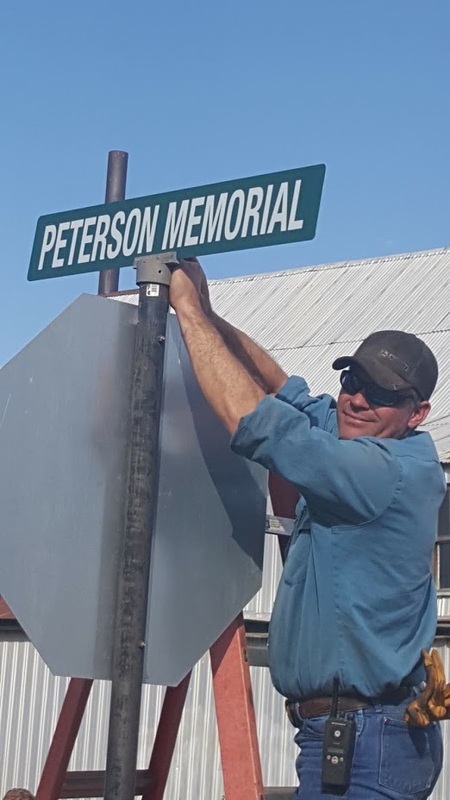 Today we declare the name change of North Commercial Avenue to Peterson Memorial Avenue to honor a great family and all of their contributions to “Community”.